February 28, 2010  We're closing in on the deadline for this round of our Three-Minute Fiction contest: The clock stops ticking at 11:59 p.m. Sunday night. February 28, 2010  On Halloween night in 1950, Earl Lloyd became the first African-American to take part in an NBA game. Lloyd was inducted into the Basketball Hall of Fame in 2003 and has just published his memoir, called Moonfixer: The Basketball Journey of Earl Lloyd. Host Liane Hansen speaks with Lloyd about his book. February 28, 2010  Melanie Benjamin's Alice I Have Been imagines the life and regrets of Alice Liddell, the real-life girl who served as the inspiration for Lewis Carroll's Alice's Adventures in Wonderland. 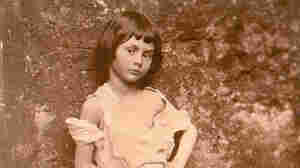 Alice knew Carroll as Charles Dodgson, a neighbor who told her stories and photographed her as a young girl. February 28, 2010  "One thing poetry teaches us," Clifton once said, "is that everything is connected. There is so much history that we have not validated." 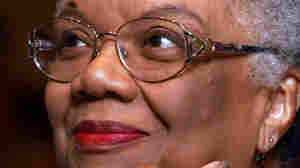 Clifton, an African-American poet who tackled the difficult subjects of injustice, racism, and sexism in her work, died Feb. 13 at the age of 73. 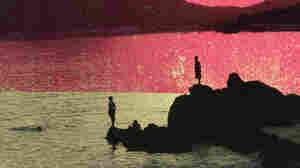 February 28, 2010  Set in the buildup to Indonesia's 1965 civil war, Tash Aw's Map of the Invisible World is the story of a 16-year-old boy on a quest to find his stepfather. February 27, 2010  It was a month after Leland was decapitated that Charlie read about the accident in the local newspaper. February 27, 2010  You are everywhere I look these days. Everyone looks just like you. I'm at the coffee shop you went to just before you died. You used to write your name and phone number on sugar packets in coffee shops in those last few months. February 27, 2010  Weekend Edition's ambassador to the world of kiddie literature, Daniel Pinkwater, reviews a classic book for children, The Bear That Wasn't by Frank Tashlin. Pinkwater and Host Scott Simon read from the book together and get a couple of good laughs. The Bear That Wasn't will be re-issued next month (MARCH 9th) by the New York Review of Books Children's Collection. February 26, 2010  How do you take pictures of objects that are too small to photograph? George Whitesides and Felice Frankel, co-authors of the image-heavy book No Small Matter: Science on the Nanoscale, discuss nanoscience and the process of photographing particles smaller than photons. February 26, 2010  In his new book, The Calculus of Friendship, math professor and writer Steven Strogatz looks back on his 30-year correspondence with his high school math teacher. Can calculus, differential equations and chaos theory help explain the complex nature of human relationships? February 25, 2010  In The Possessed: Adventures with Russian Books and the People Who Read Them, Elif Batuman explores the lives of the great Russian authors, from Pushkin to Platonov, and of the people they continue to influence up through today. Her story makes the list at No. 14. February 25, 2010  Two new books this week tell of fateful trips to England — though of very different sorts. Little Bee by Chris Cleave is the tale of a Nigerian teenager's desperate attempt to seek asylum in Britain, and The Forgotten Garden by Kate Morton is about a young girl's reunion with her homeland after many years away. February 25, 2010  In Born To Run, No. 7 this week, Christopher McDougall travels to the unforgiving terrain of Mexico's Copper Canyons, in a quest to understand the area's indigenous population of ultra-runners, the Tarahumara Indians.